Cultural materials conservation develops capacity and knowledge to conserve continuing cultural records. Through interactions and understanding, conservators aim to enable individuals and communities to create and access their heritage for the present and into the future. This seminar will examine how the role of materials conservation is changed and expanded when paired with digital technologies. To illustrate the use of digital technologies, the presentation will draw on a number of case studies, including working with the Music Archive of Monash University (MAMU) on the visualisation of Wayang Kulit Puppets and acoustic repairs of musical instruments; the digitisation of Church heritage in the Philippines; and the exploration of citizen science platforms with the City of Port Phillip using History Pin. Part of the Digital Studio's Digital Heritage Seminars series. 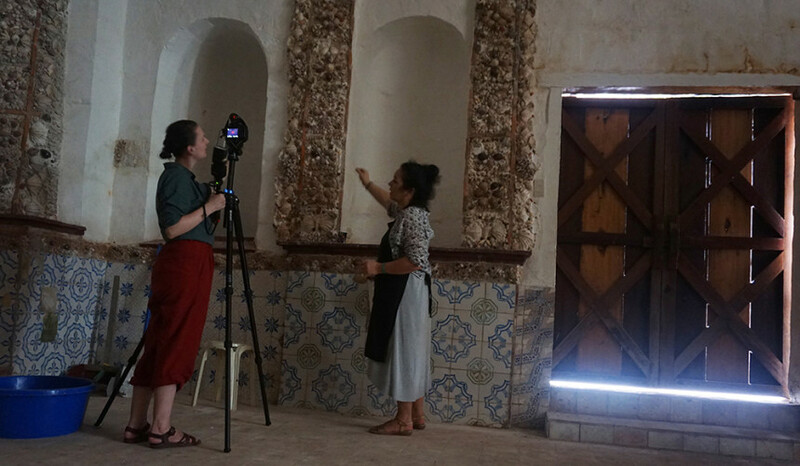 Image: Shell Ornamentation, Nicole Tse and Sophie Russell at the Guiuan Parish, Philippines. Photographer: Saiful Bakhri.